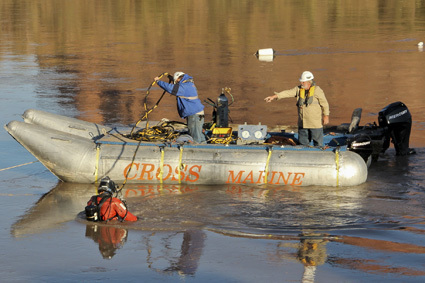 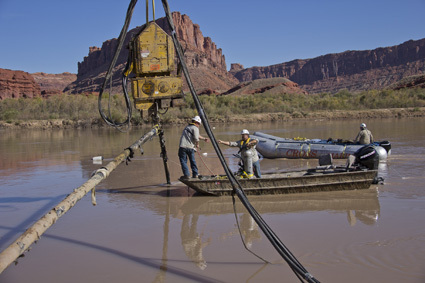 Cross Marine Projects crew members prepare to cut through a section of pipe that has been raised from the river, as crew member John Cross mans a support vessel in the background. 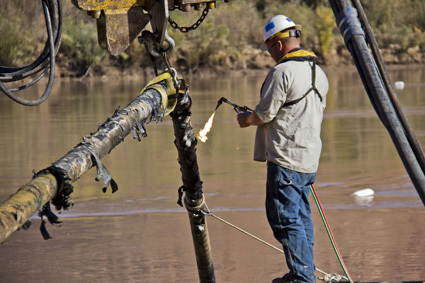 Cross Marine Projects crew member ignites a torch to cut through a section of pipeline. 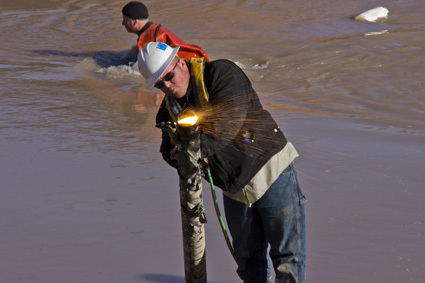 Cross Marine Projects crew member cuts a hole in a partially submerged section of pipe to facilitate attaching equipment to extract the pipe, while in the background, commercial diver performs a physical inspection of the submerged pipeline.